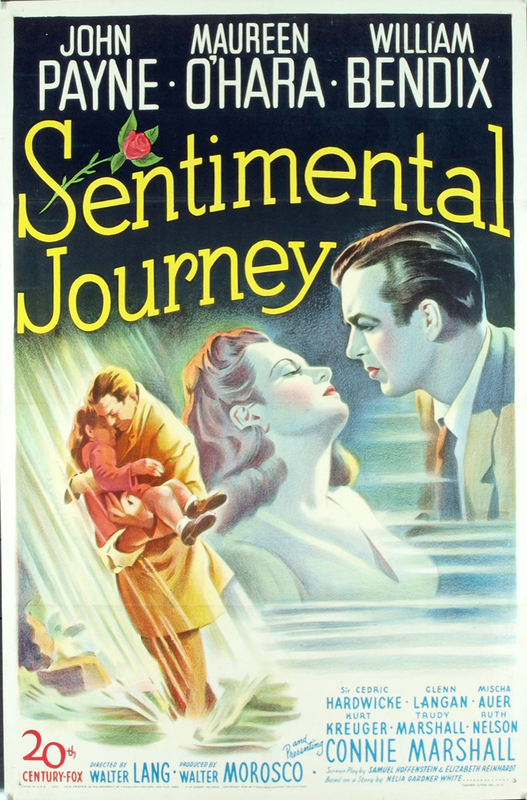 Sentimental Journey may be horrendous, but at least it’s classy. Or is it? Why, for example, wasn’t Ringo posed on the cover under a streetlight, surrounded by fog, like Frank Sinatra on Songs for Young Lovers? For that matter, why wasn’t “Strangers in the Night” included? Why not go all the way (“All the Way” is not included either)? How about a duet with Peggy Lee on “Is That All There is”? She’s on Capitol too, after all. Oh, well. There is a certain thrill to hearing Ringo swing immediately and finally flat on “Stardust,” reportedly Judy Agnew’s favorite song. She won’t like this version, which just might keep Ringo from being presented with an invitation to sing one of the nominated songs on next year’s Academy Awards show. But a Grammy seems inevitable. The movie version was released some time ago. A favorite on late-night TV, Sentimental Journey (1945—Ringo was six) starred William Bendix in the tragic but heartwarming story of a misunderstood Broadway producer, his nymphomaniac-dipsomaniac wife, and the little girl they adopt when the wife learns she’s doomed to die. Not exactly “Oc­tupus Garden,” but what the hell. This entry was posted in Album Reviews and tagged Frank Sinatra, Greil Marcus, Ringo Starr, Rolling Stone. Bookmark the permalink.